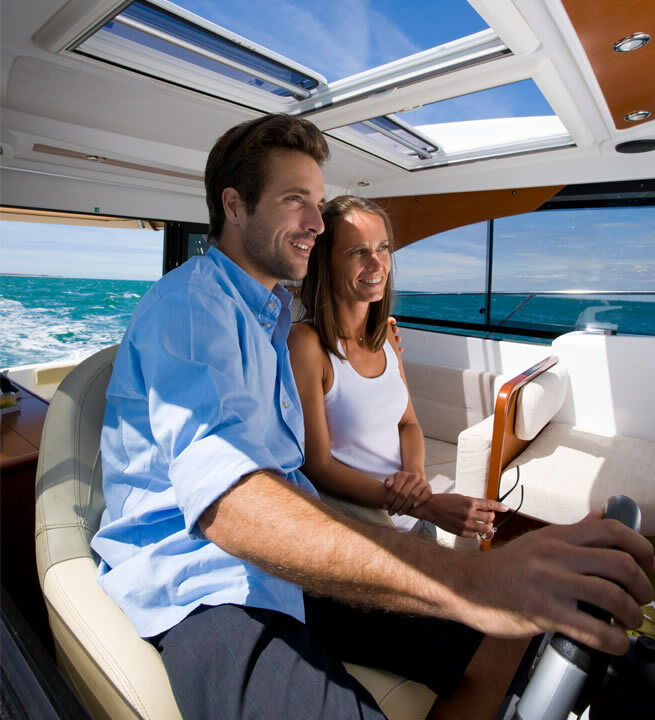 The Antares 30S is the non-flybrige version of the Antares 30, and features a hard top with two large opening panels. precision to provide this version with a new roof, including two sliding opening panels. 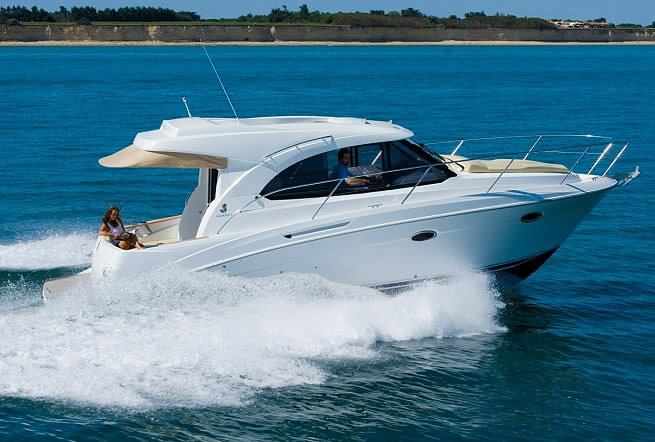 This gives the boat a dynamic look, which endows it with a sporty character. 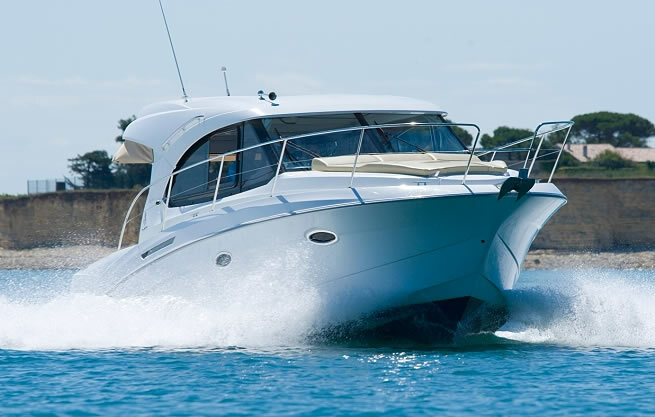 The Antares 30S has a progressive planing hull offering proven performance and a reassuring stability provided by the pronounced forward V and flared bow shape, with a top speed of 26 knots achievable in the 380 HP Yanmar version. A more economical 260 HP Yanmar version is also avalible. 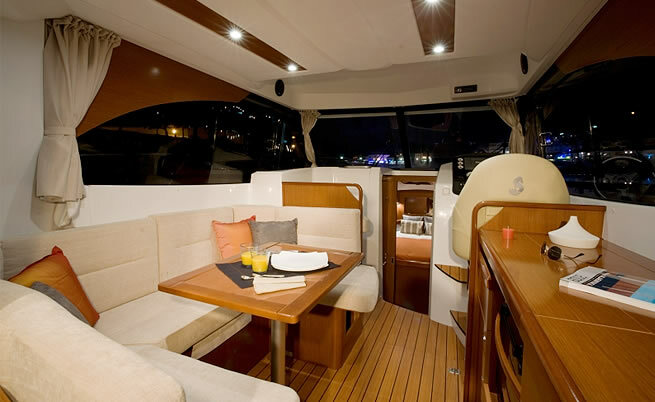 Incorporating two sliding panels with integrated blinds on the coachroof, these two new openings bring an optimal lightness into the wheelhouse interior. In addition to the triple sliding door, these two apertures provide excellent ventilation for the interior living space. 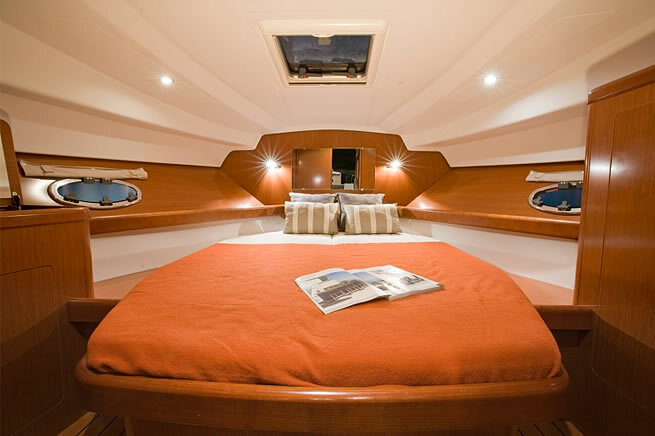 Practical and fully equipped galley – gas hobs and oven, refrigerator, microwave, etc. 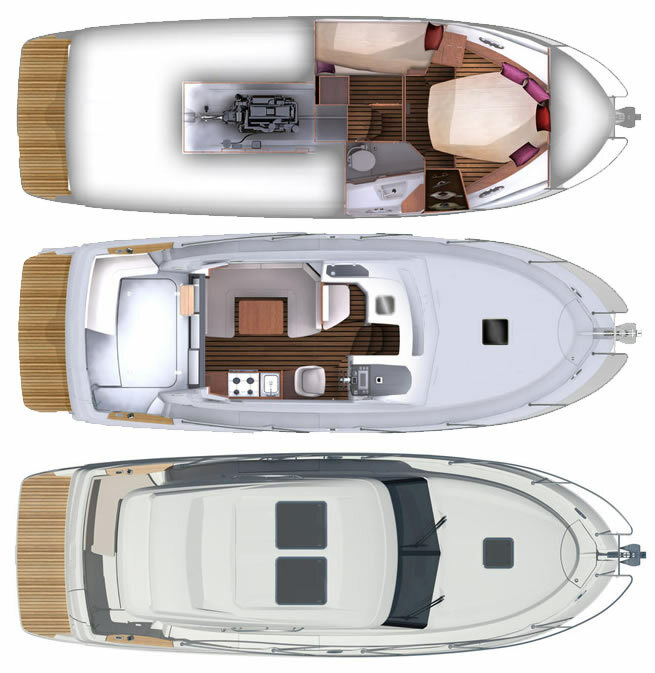 As on the Antares 30, the cockpit can be adapted according to the chosen sailing profile, having the possibility of fitting a bench seat with additional stowage units. And finally at the stern, the comfortable bathing platform provides easy access to the water or quayside.